China’s power sector accounts for 25% of the world coal consumption–fully about 13% of total global carbon emissions from fossil fuel. Decarbonizing China’s power sector will shape how the country and–to a large extent–the world uses energy and addresses pollution and climate change. I will first introduce my work on provincial level resources assessment, using GIS model and capacity factor simulation to explore where, when and how much wind and solar resources are available. With the these assessments as key inputs, I have worked with the Renewable and Appropriate Energy Laboratory (RAEL) to develop an integrated planning model of the Chinese power sector, the SWITCH-China model, to analyze the feasibility, costs and benefits of China’s clean power transition under three key policy scenarios: Reference Scenario, Low Cost Renewable Scenario, and Carbon Cap Scenario. I will present the key findings from the modeling efforts and discuss the policy implications of China’s clean power transition. China’s power sector is in the midst of fast development, and today’s investment decisions will have a large impact on the country’s ability to achieve its environmental and carbon mitigation goals. Concerted actions are needed to enable such a transition, including introducing a meaningful carbon price, coordinating the investment decisions, and building the necessary infrastructure for moving energy around. 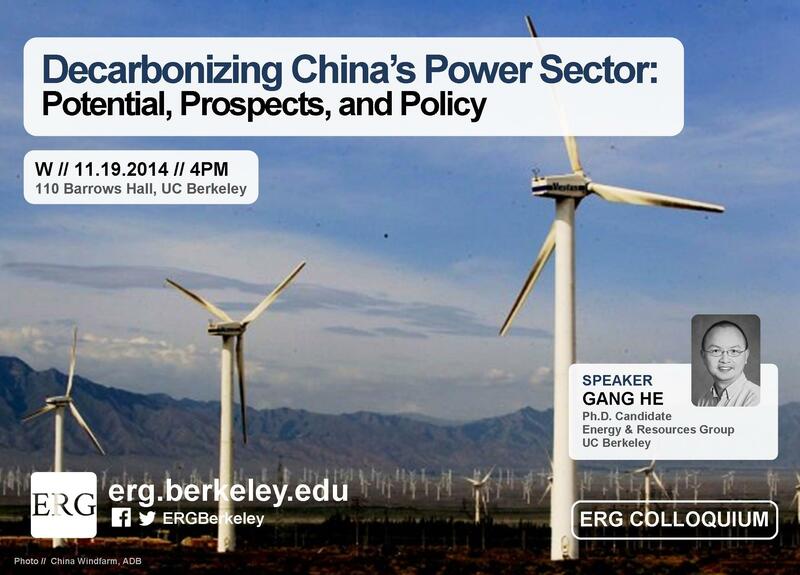 Gang He is a PhD candidate in the Energy and Resources Group at UC Berkeley, he is also a graduate student researcher with the China Energy Group at Lawrence Berkeley National Laboratory. 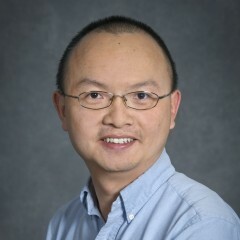 His research work focuses on energy modeling, energy economics, energy and climate policy, coal and power sectors and their key role in both the global energy supply and in international climate policy framework. He also studies the interdisciplinary aspects of global climate change and the development of lower carbon energy sources. Prior to Berkeley, he was a research associate with Stanford University’s Program on Energy and Sustainable Development from 2008 to 2010. He holds an M.A. from Columbia University in Climate and Society and a B.S. from Peking University in Geography.